Make your customers recall your brand name instantaneously by offering them custom designer top view pedometer. This has a single cell battery inserted in it. The stylish basic step counter will accompany your customers or well-wishers in their every day workouts to achieve physical fitness. 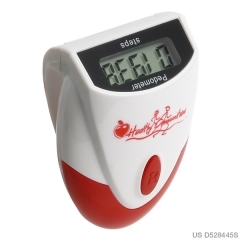 It can count up to 99,999 steps taken. 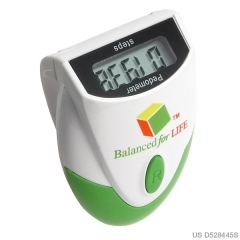 The promotional designer top view pedometer is energy friendly and they are provided with auto shut off and idle mode function. 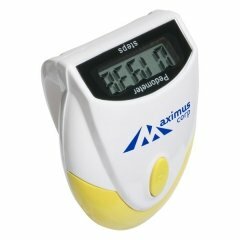 The size of this utility gadget is measures 2-1/8” x 1-1/2” x 1”. 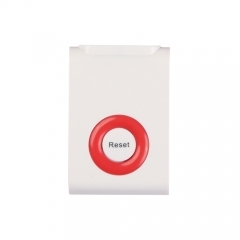 The personalized top view pedometer has a secure belt clip to attach on to your belt. 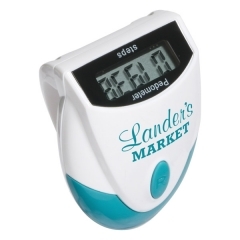 These are ideal gifts for all seasons. 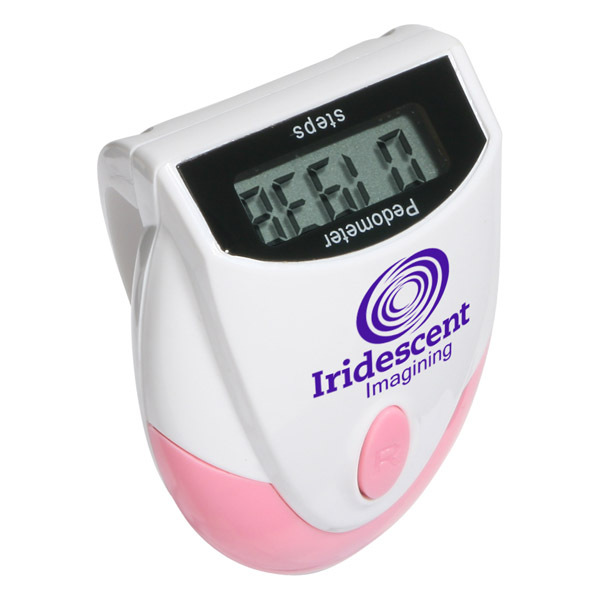 The brand imprint on these pink devices makes others remember your business name. Product Size : 2-1/8" x 1-1/2" x 1"
Product & Design Quality -The design looks better than I could have imagined! We need to order more due to their popularity! Customer Service & Shipping -Excellent customer service and fast shipping! Very satisfied with my experience!